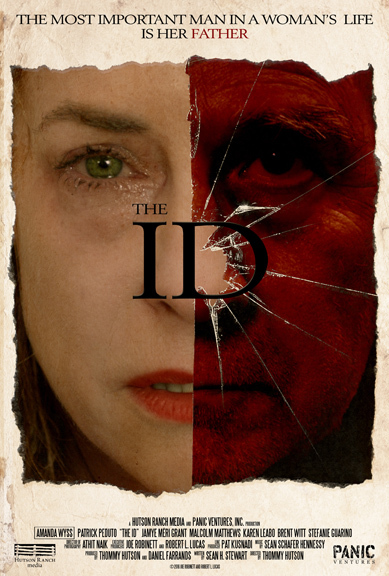 This is a bold attempt at a theatrical, largely two-handed psychological horror story in the vein of Hitchcock’s more experimental thrillers. Amanda Wyss, an under-used talent in 80’s horrors A NIGHTMARE ON ELM STREET, SHAKMA and TO DIE FOR, gets a great showcase as a lonely, regretful middle-aged woman who has never left home and clings to romanticised memories of high school life. Her life has been dominated by her physically and verbally abusive, alcoholic father (Patrick Peduto), for whom she is a full-time carer. His illness has only escalated the humiliation and aggression he doles out on a regular basis, but a blast from the past triggers the unleashing of all her pent-up rage. 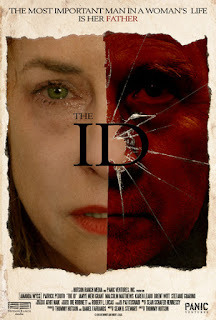 Claustrophobically confined to the family home that has always entrapped her, THE ID is stylistically old-fashioned, with its use of split screen and wipes, alongside an over-emphatic, old-school music score that detracts from (rather than enhancing) the unfolding drama. There’s a bit of DIABOLIQUE-inspired disappearing-corpse business and it tends to lose its grip whenever contrived secondary characters turn up at the house, but the central performances are terrific. In a movie world with too-few good roles for women over the age of 22, Wyss is haunting as a woman with a lifetime of regrets and a constant need to escape into fantasy and idealised memories. Peduto offers a truly monstrous, hate-fuelled interpretation of the patriarch that has controlled her entire existence and from which she knows she will never truly escape.